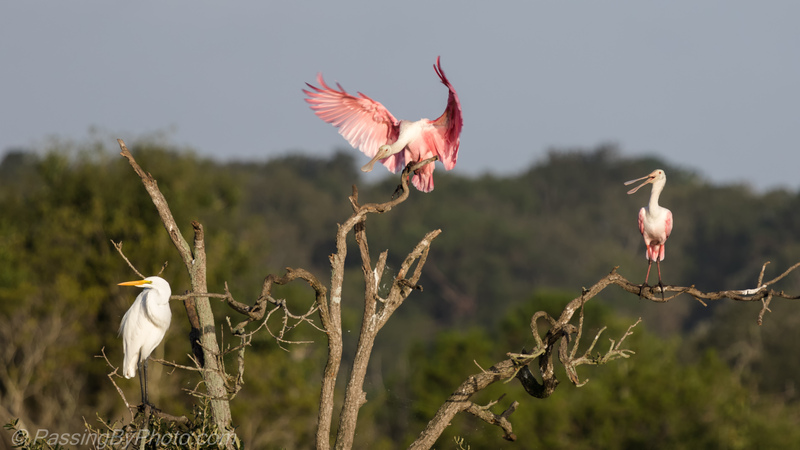 The Great Egret was determined not to look even as another noisy Roseate Spoonbill landed in the favorite tree. 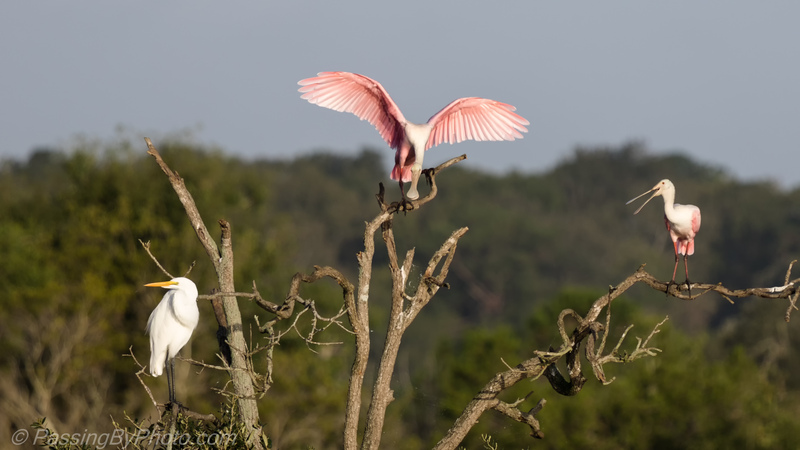 The Spoonbills aren’t nearly as elegant as the Great Egrets when they land. Lots of flapping goes on and if another Spoonbill is nearby they often snap their beaks at each other. Thanks, Liz! These birds sure can be comical at times. It looks like three’s a crowd. Very nice! They do like their solitude! Thanks!